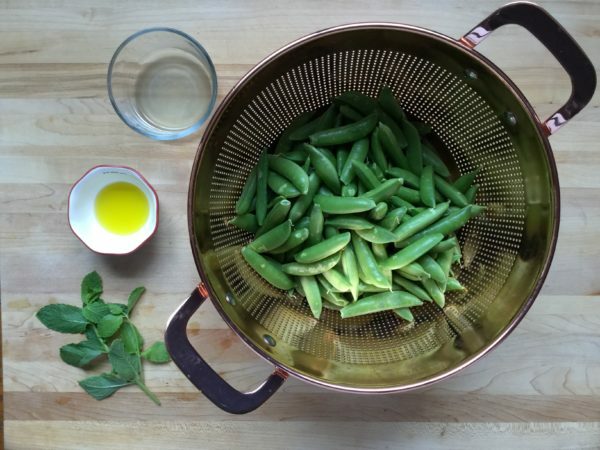 These mint sugar snap peas make the perfect side dish to any meal. They are full of fiber and vitamin C! Wash your hands and clean your cooking area. Wash sugar snap peas and remove strings. Heat skillet to medium-high heat; add olive oil. Add the snap peas to the skillet and sauté until just tender (about 8-10 minutes). Remove from heat and stir in mint. Drizzle lemon juice on top. Toss lightly.